Confronted with a U.S. population that is growing, aging and facing deteriorating health, these 5 fearless nurses serve on the frontlines of healthcare, navigating their patients through birth, death, prison, war and harsh poverty. 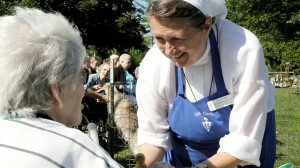 Sister Stephen is the Director of Nursing at the Villa Loretto Nursing Home in rural Wisconsin, where she has cultivated a menagerie of animals including dogs, cows, sheep, llamas, alpaca and ring-tailed lemurs. The Villa is also the weekend home of kids in need of respite—some are in foster homes, others have emotional problems or have been victims of abuse—and the animals are therapeutic for the kids and the elderly residents alike. Sister Stephen brings all of the nurses together to sing a last hymn to their long-term and beloved residents as they approach the end of life. Brian McMillion, a military nurse with the V.A. San Diego Health System, was on an uncertain path when at age 19 his father gave him 2 choices: “Go to college or enlist in the military. Except you’re not ready for college.” He spent time oversees where he was the first person that wounded soldiers would see when they woke up, often missing limbs and suffering from PTSD, wanting only to go back to their brothers in combat. 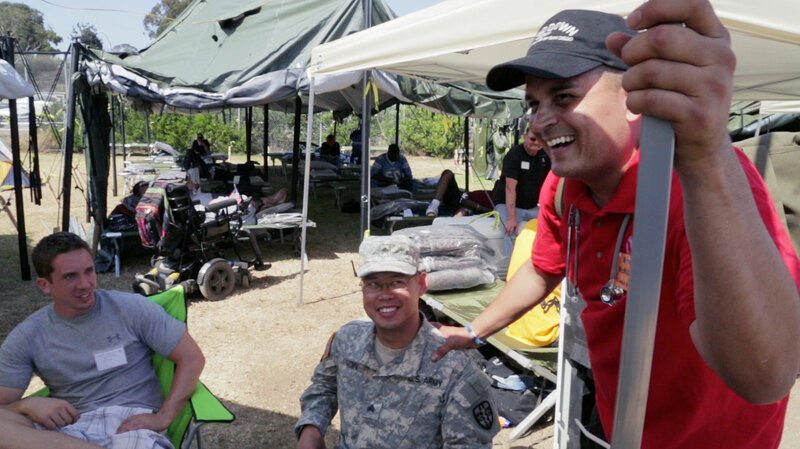 In his current role, Brian works with young injured soldiers fresh from the combat theaters of Iraq and Afghanistan. A Labor & Delivery nurse at the Johns Hopkins Hospital in Baltimore, Naomi Cross spends most of her days filled with the joy of helping to bring new life into the world. When things don’t go as planned, Naomi also serves as a bereavement counselor, pulling from her own experience of loss to counsel a family when their baby dies. Born and bred in one of the poorest rural counties in the United States, Jason Short was a mechanic and truck driver who has now transitioned from fixing cars to fixing people. 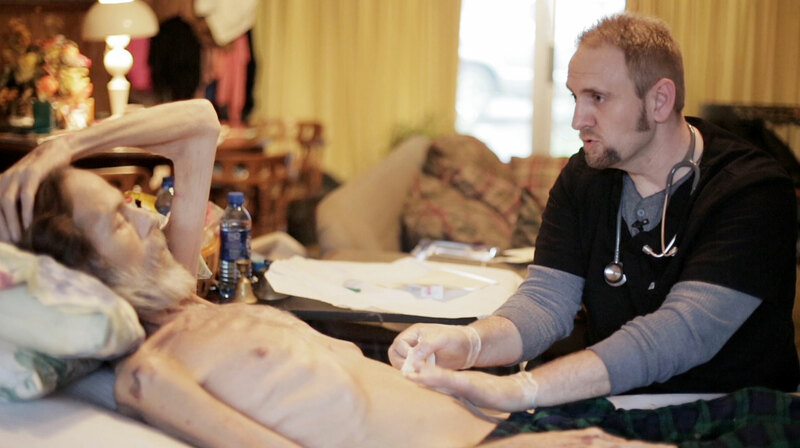 He spends his days forging into the remote hollows of Eastern Kentucky, helping his patients in their battles with cancer, diabetes, and black lung disease. Caring for a region plagued by poverty, drug addiction, industrial pollution and more, Jason is intimately acquainted with a part of America few ever see. With a mother who worked in security at the Louisiana State Penitentiary at Angola, Tonia Faust grew up in the shadow of a maximum-security prison. She started working as a nurse and ended up following her mother’s path to Angola, where she now directs the hospice program. Tonia oversees a team of inmates who volunteer to care for their dying peers with a compassion and grace one would not expect to find behind bars.